“It’s as hard as a typical dental restoration but less likely to crack,” Kollbe Ahn, a materials scientist at UCSB’s Marine Science Institute, said of the composite. The research is highlighted in the journal Advanced Materials. The paper, of which Ahn is the corresponding author, is the result of collaboration between research and industry. On average, a dental restoration lasts five to 10 or so years before needing replacement. 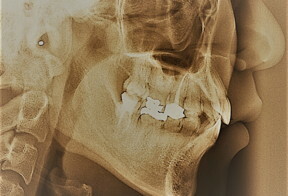 The time frame depends on the type of restoration and how well the patient cares for the treated tooth. However, the continual onslaught of chewing, acidic and hard foods, poor hygiene, nighttime tooth grinding, generally weak teeth and even inadequate dental work can contribute to a filling’s early demise — and another expensive and possibly less-than-pleasant experience in the dental chair. So Ahn and his colleagues looked to nature — mussels, to be exact — to find a way not only to maintain strength and hardness but also to add durability. Having perfected the art of adhering to irregular surfaces under the variable conditions of the intertidal zone — evolving to resist pounding waves, the blazing heat of the sun and cycles of salt water immersion and windy dryness — mussels presented the ideal model for more durable dental restoration materials. The byssal threads they use to affix to surfaces allow them to resist the forces that would tear them from their moorings. “In nature, the soft collagenous core of the mussel’s byssal threads is protected by a 5-to-10 micrometer thick, hard coating, which is also extensible and thus, tough,” Ahn said. This durability and flexibility allow the mollusks to stick to wet mineral surfaces in harsh environments that involve repeated push-and-pull stress. Key to this mechanism is what the scientists call dynamic or sacrificial bonding — multiple reversible and weak bonds on the sub-nanoscopic molecular level that can dissipate energy without compromising the overall adhesion and mechanical properties of the load-bearing material. “Say you have one strong bond,” Ahn explained. “It may be strong but once it breaks, it breaks. If you have several weaker bonds, you would have to break them one by one.” Breaking each weak bond, he continued, would dissipate energy, so the overall energy required to break the material would be greater than with a single strong bond. This type of bonding occurs in many biological systems, including animal bone and tooth. The mussel’s byssus contain a high number of unique chemical functional groups called catechols, which are used to prime and promote adhesion to wet mineral surfaces. The new study shows that using a catecholic coupling agent instead of the conventional silane coupling agent provides 10 times higher adhesion and a 50 percent increase in toughness compared to current dental restorative resin composites. While research has proven this toughening mechanism in soft materials, this study is one of the first — if not the first — to prove it with rigid and load-bearing materials. This proof-of-concept, which also demonstrates no cytotoxicity, could mean tougher, more durable dental fillings. And that, in the long run, could mean fewer dental visits. Because each replacement filling also requires the dentist to file the surrounding tooth to prime its surface, given enough replacements a tooth might need to be crowned or extracted; and if not replaced, the tooth loss could have adverse consequences for the individual’s diet and health. The next step, Ahn said, is to increase the material’s durability even further. “By changing the molecular design you could have even denser coupling agents that exist on the surface, and then we can have a stronger and more durable dental composite,” he said, estimating a commercial product within a couple of years. Ahn credits the interdisciplinary research environment at UCSB for the development of the new load bearing polymer composites such as this dental restoration material. The project builds on the fundamental mussel-mimetic research that UCSB molecular biologist Herbert Waite conducted over several decades, which has been brought into collaboration with Jinsoo Ahn, a dentist from Seoul National University. This project also builds on the work of other UCSB researchers, including surface physicist Jacob Israelachvili’s expertise with surface interactions and forces; physical chemist Joan-Emma Shea’s simulations of how individual molecules adsorb to surfaces; and mechanical engineer Megan Valentine’s expertise in mechanical testing.